Welcome to Customs House, Dhaka. Dhaka Custom House is the largest airport customs station of Bangladesh. It is located in Kurmitola which is northern part of Dhaka city. It's primarily responsible for collection of all duties and taxes at the import stage. Apart from collection of government revenue it is also responsible for airport passenger service, trade facilitation, enforcement of government regulations, Protection of society and environment, preparation of foreign trade statistics, trade compliance and protection of cultural heritage. 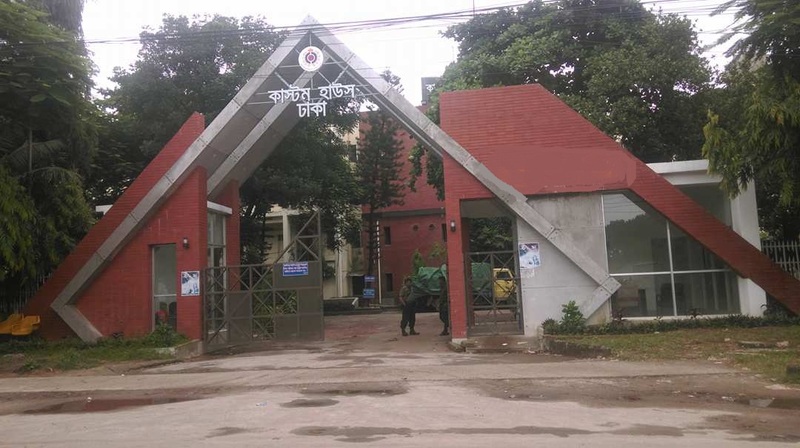 Bangladesh Customs is working under the umbrella of National Board of Revenue (NBR) which is the apex body for direct and indirect tax revenue in Bangladesh.NBR is the major organ of Internal Resources Division (IRD) under the ministry of Finance, Government of Bangladesh.